I hope December is treating you well so far and that you are enjoying the holiday season! November was a great month for me, both in my personal life and on the business side of things. I spent much of November prepping for Savor the Holidays, which is my first-ever course I created and I am so excited about it! I’m really proud of how it turned out and have been loving the positive feedback I’ve been receiving from everyone participating. I’ve realized how much of a passion I have for creating solutions that help others to live a life they love, and I am looking forward to be able to do more of that in the future. I’m back with another income report, so let’s jump in! If you’re new here – The reason that I share my blog income reports is because I think it’s a great way to show that it is possible to earn an income online doing something you enjoy and are passionate about. I want to provide inspiration and encouragement to those of you reading who have doubts about your abilities to be able to make an income through blogging. This is also a great forum for me to share my experience in trying to earn an honest income from my blog, and all of the tips and tricks that I learn along the way. If you are interested in starting a blog, I created a tutorial to help you start a profitable blog of your own in only 4 easy steps. The income below is for money earned during the month of November but not necessarily paid out during the month of November. It’s also important to keep in mind that these numbers do not reflect the taxes I will need to pay on this income. The P.O. Box & Tailwind expenses are actually a yearly expense that I paid in entirety for a year, but I feel like breaking it out into monthly increments helps to see a more accurate picture of my total expenses compared to income. It’s feels really good to say that I’ve had my “best blogging month ever” for the second month in a row now. 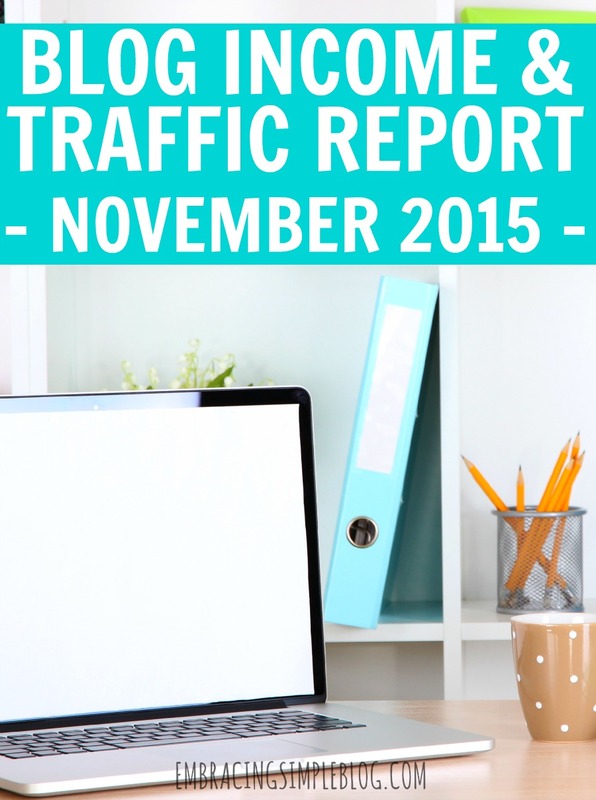 I’m really happy with my blogging income for the month of November! I learned so much through the process of creating my course too, it was a learning experience through and through and I’m so very glad that I did it! The coolest part to me is that I was able to create something entirely from scratch. Seeing what started out as just an idea in my head turn into a fully fleshed out course is such an awesome feeling, and I look forward to going through this process again. 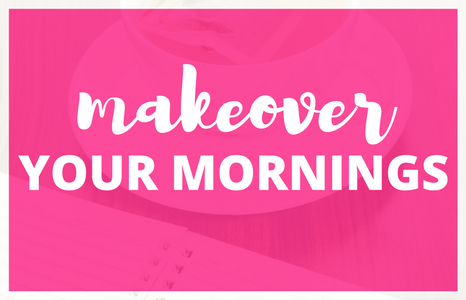 Overall, I’ve really been enjoying blogging and this wonderful community my readers have created and I really love that I get to continue being a work-from-home Mom. I feel like pinching myself sometimes because it just seems so surreal that I have the opportunity to create an income from blogging and doing something I love so much all while getting to work from the comfort of my own home and being at home with Little Miss. If that’s not the American dream, then I don’t know what is! If you are a stay-at-home Mom looking to earn an income while still getting to be home with your babies, or currently work in an office but would love to be self-employed, I truly encourage you to start a blog of your own or check out these other at-home business ideas. Not only does blogging present a really fun way to make money online, but it can open up other opportunities for you too, like becoming a freelance writer! I’ve been so enjoying this blogging journey and can’t wait to see what 2016 has in store for my blog. 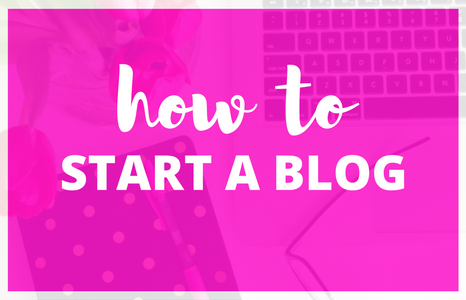 If you’re interested in starting a blog, don’t forget to check out my tutorial to learn how to start a profitable blog of your own in only 4 easy steps. Thank you from the bottom of my heart for all of the encouragement and support! How was your November? Let me know in the comments below! Woo-hoo!!!!! Congratulations on such a great month!!! You are a rockstar and such an inspiration!! And also – huge congrats on your course!!! For anyone else reading this, Christina really dove in head-first and created an AWESOME course as her very first one. Such a great accomplishment! Hope you have an excellent day! Congrats on the income Christina and I’m loving the course so far! Thank you Chonce! And thank you so much for your support of my course, it means the world to me!! Woohoo, congrats on such a successful month! That is so exciting about your course – so nice to see hard work pay off. Your income is so rounded, it’s awesome! Thank you Kristin! The hourly rate that I received for creating my course is probably a small, small fraction of minimum wage but it was honestly SO much fun to put together. 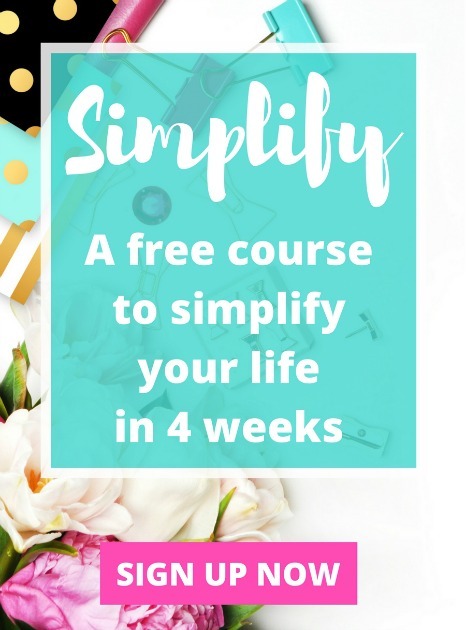 I’m excited for your Pinterest course coming out next month and can’t wait to see how that does for you – I’m sure it will be a smashing success! Nice job on a great month! Your traffic and income have really taken off. You’re amazing. Seriously. A huge congrats on all the continued success – I know you just have even more growing to do in the future and I can’t wait to see where that takes you! wow- it’s so refreshing how transparent you are with your blogging income! thank you! Aw thanks Bora, I love transparency and being open and honest. I’m so glad this was helpful for you! 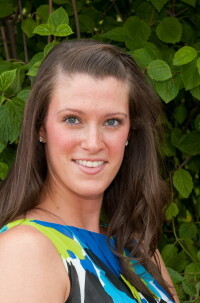 Congratulations on a great month Christina! So glad your course is doing so well. Here’s hoping you have a great December! Way to have another great month! And I’m impressed that you earned so much with sponsored posts. I’m just starting with those myself, and it is nice to bring in income that way to diversify blog things. Yay!! You are doing so well. I love watching you & your job grow. I just discovered your blog today through Pinterest. Great posts! My goal is to make $1000 a month next year through my blog. I love to see how you’ve done it. My problem is getting enough traffic and followers on both my blog and Pinterest first. I feel like I have great photos and content, yet no one has found me yet. Fingers crossed my hard work will pay off someday. I will bookmark this for when I do. Hi Sheri – a big welcome to you! Happy to have you here 🙂 That’s a phenomenal goal! Do you use a scheduling tool? I’ve found using Tailwind really made a huge difference in the amount of traffic I receive from Pinterest. If you haven’t tried Tailwind yet, let me know (email is embracesimple@gmail.com). They have a program where I can offer you a month for free! Congratulations on your success! I have been loving the course. You are doing amazing and are an inspiration for us all. Congrats on having your best month again!! hehe. 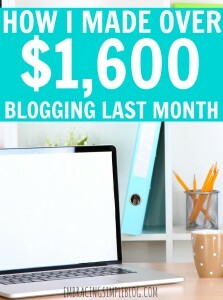 I have updated you on The Ultimate List of Blogger Incomes! You rock Alexander, thank you so much!! You are so sweet, thank you Jayleen! 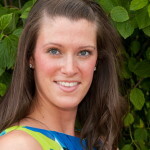 Hi Christina–great post–just wondering what you used to make your e-book? Thanks! Enjoyed reading this. Congrats on your first course release! I’m so happy it was a success for you. Thanks for sharing all your experience in this blogger adventure. Christina, you are killing it! I hope that I can get to where you’re at someday! Keep up the good work- it provides all of the motivation to keep grinding. I’ve just found your blog and spent the past few hours binge-reading. I love what you’re doing here. I have 2 little ones and would love to be able to stay home with them full time. I can’t wait to follow along on your journey, congrats on a great month. Aw thank you so much Emma, that means the world to me! 🙂 Best of luck to you in your quest to be a work-from-home Mom, feel free to reach out to me at embracesimple@gmail.com if there’s anything I can help you with!! Congrats on a fantastic month, Christina! 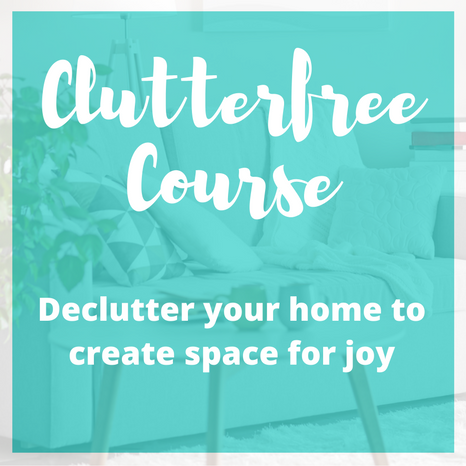 Launching your first course is a huge accomplishment! I look forward to seeing how you continue to grow in the future! Wow– way to go Christina. 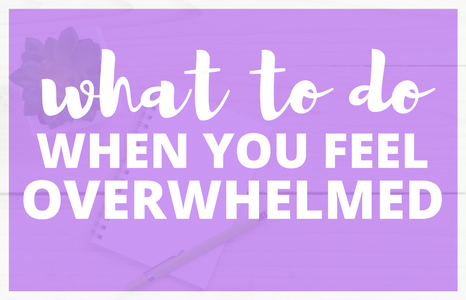 I just started following you from your first income blog post last year and look at how far you’ve come in a year! Inspiring. Are you still using “Godaddy” as your domain host and have you had any problems with it? Thank you Portia!! Yes I am, I love Go Daddy! My site has been down three times this past year, but that is pretty typical for most blogs as they grow. Every time it was down, Go Daddy stayed on the phone with me until it was back up again (always within 15-20 minutes). They have top notch customer service that always makes me feel like I’m in good hands!! Hi Christina! I’ve recently discovered your blog and have been catching up on everything! I’m curious about how much time you personally spend on your blog a month. You’re very inspiring keep writing!